How To Stay Calm On The Big Day And Make It That Much More Memorable In Two Minutes Or Under! Planning a wedding can become a full time job at times. At BethRock Limo Service we can take some of the planning off your hands leaving you to concentrate on other things. Let us relieve you of your transportation worries and help to make this unique occasion everything that you ever imagined it would be. 1. All our fleet of limos is stylish and elegant. 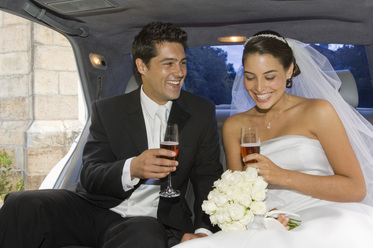 Put the icing on the cake by arranging for the bride and groom to arrive and depart in top of the line limousines. 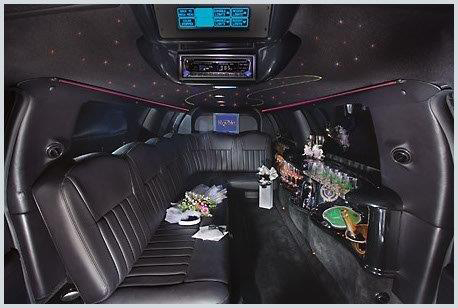 All our limousines are stylish and equipped with bar area, stem glassware, great sound system and flat screen TV. And of course finished to perfection with sumptuous leather seating, allowing bride and groom to relax and take the pressure off the day. 2. No Schedule to worry about. Once we have worked out and agreed a schedule with you, you can just leave the rest to us. We are highly experience with weddings and wedding functions, and are able to offer the best suggestions and advice. We are dedicated to ensuring that your day is a huge success which can be enjoyed by all, and will ensure that all of your wedding party will arrive on time. 3. We cater for all transport needs. If you are in need of a bus or large limousine for the rest of the wedding party we can take care of that too. Perhaps you need guests who are arriving from out of State to be collected and transported from the airport. Maybe for the rehearsals you would like us to get all involved to the venue in style. Whatever your transport needs happen to be, we can arrange it all. 4. Professionalism and flexibility is our forte. All our carefully selected drivers are courteous, polite and available to you at all times. Your chauffeur will be punctual and ensure that the limousine party arrives at the church on time. In addition they will liaise with the photographer at the event to ensure that you get all the photographs you desire. 5. Tell us your dream wedding. Everyone has a different dream and vision of the wedding that they would like. Tell us what is your dream, and we will be delighted to help make it everything that you have dreamed by working out the arrangements with you. 6. Our Discounts. Ask about our discounts when booking multiple vehicles or limousines over a number of days. 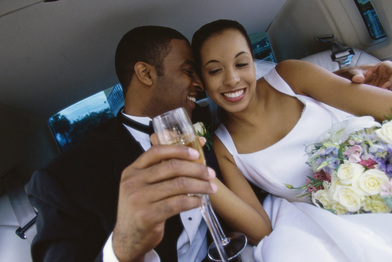 Take a minute or two to complete the online form above for wedding limo. Otherwise contact us at 301-825-8833 and let us help to arrange and take care of all your stylish and elegant transportation needs.